My baby is obsessed with his ErgoPouch ErgoCocoon. We were given a few by close friends when he was born and he hasn’t spent a single sleep out of them. Seriously, these swaddles keep baby so snug and happy I don’t know how we ever did without them for our older children. Staring down the barrel of a Sydney winter in an old house with a three-month-old baby and I began to panic about retiring the lightweight ErgoCocoons. I told myself there had to be a cold weather swaddle option that would work just as well and keep him just as comfortable. I wasn’t disappointed! 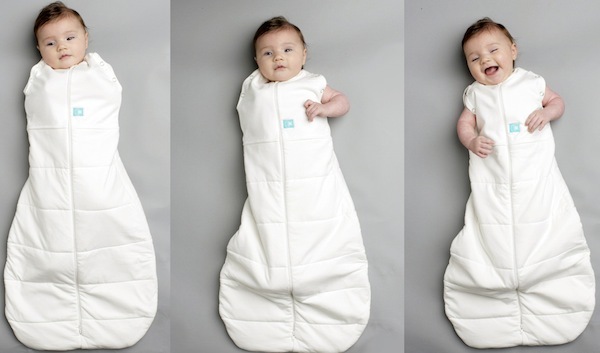 I found the organic ErgoPouch Hybrid Swaddle Bag and, as you can see from the pictures above, it’s a swaddle which then allows you to train your baby to sleep unswaddled. 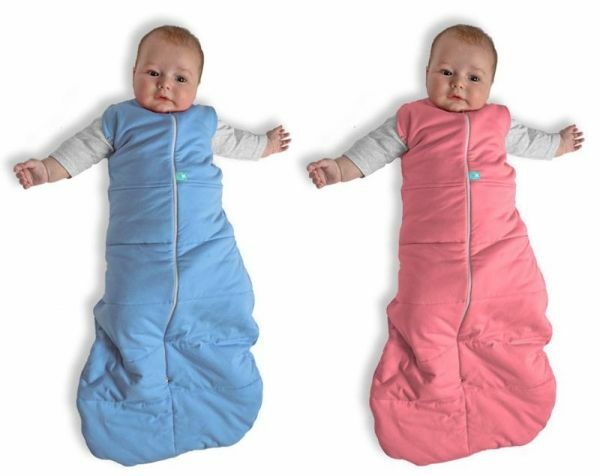 From the chest up, it’s a 1 TOG swaddle; from the chest down, it’s a 2.5 TOG sleep bag, keeping baby toasty in the colder months, in a room which is ideally between eighteen to twenty-two degrees celsius. In gorgeous single colours of grey, blue, pink and natural, they won’t clash with your nursery and are available in 0-3 month and 3-12 month sizes (after that, baby graduates to an ErgoPouch Sleep Bag) for $64.95 from Baby Bedding. Check the Store Locator to buy near you.